The Nikkei Vietnam Manufacturing PMI, a composite performance indicator of the manufacturing sector, posted 52.4 in December, down from November’s 54 but continuing to signal solid monthly improvement in the sector’s health. As per the latest PMI data released by Nikkei market, in December, among ASEAN countries, the Philippines was at first place at 55.7; the second place went to Vietnam at 52.4; and Thailand took third place at 50.6. Myanmar posted 49.4, Indonesia was at 49, Malaysia at 47.1 and Singapore at 43.3. Vietnam’s PMI saw solid growth because business conditions improved on the back of rises in new orders, output and employment. The rate of expansion in purchasing activity was substantial amid efforts to build inventory reserves. Input costs continued to rise sharply, and companies responded by increasing charges at one of the fastest rates in the past five-and-a-half years. “Solid growth in the final month of 2016 completed a generally positive year for the Vietnamese manufacturing sector,” said Andrew Harker from IHS Markit, which compiles the survey. 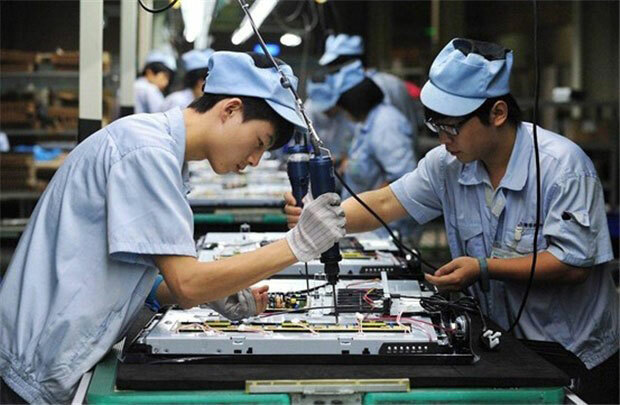 The Nikkei Vietnam Manufacturing PMI is based on data compiled from monthly responses to questionnaires sent to purchasing executives in around 400 industrial companies. The panel is stratified by GDP and size of company workforce. The manufacturing sector is divided into eight broad categories: basic metals, chemicals and plastics, electrical and optical, food and drink, mechanical engineering, textiles and clothing, timber and paper, and transport. On the whole, however, the ASEAN manufacturing sector ended 2016 on a weaker note, with business conditions in the region worsening in December at the quickest rate in 13 months, the survey said. At 49.1, down from 49.4 in November, the Nikkei ASEAN Manufacturing PMI signalled the sector’s deteriorating health for the third month in a row. The December survey data also indicated a disappointing fourth quarter for ASEAN manufacturing companies. Strong declines in output and in new orders drove the ASEAN PMI lower at the end of 2016. Figures also indicated decreasing new business from abroad last month. Both production volumes and new export orders shrank at the fastest pace since November 2015. A weaker client demand led ASEAN manufacturers to purchase fewer inputs for the third straight month, which in turn saw pre-production stock levels drop to their lowest in 16 months. Cost inflation intensified across the ASEAN manufacturing industry in December, with input prices rising at the sharpest rate since October 2015. To help preserve profit margins, firms raised selling prices, although at a slower pace. The sustained deterioration in ASEAN manufacturing conditions was accompanied by broadly weaker national performances. Even countries with better business conditions reported marginal or slow rates of improvement compared to November./.